Post-1959 | 50 Westerns From The 50s. 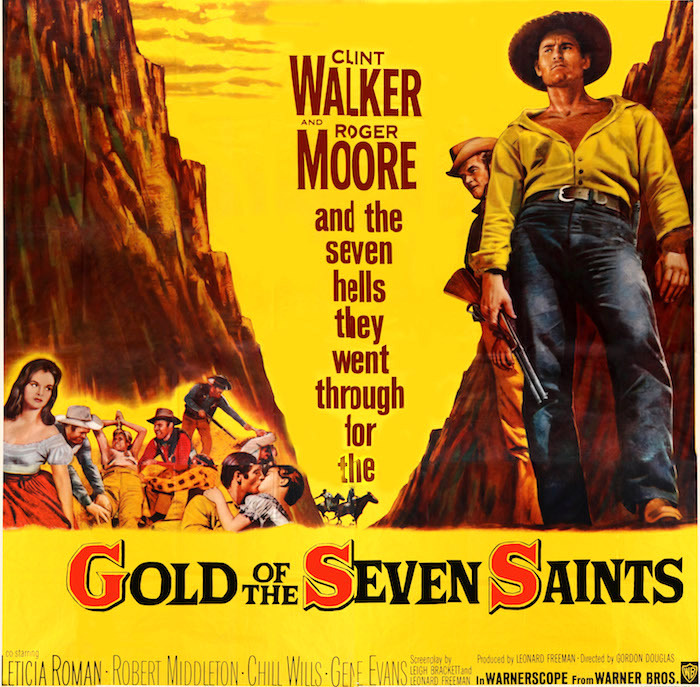 Screening: Gold Of The Seven Saints (1961). Did you ever think you’d happen upon a screening of Gold Of The Seven Saints (1961) in this day and age? Well, thanks to the wonderful folks at The New Beverly Cinema, it’s part of their tribute to Roger Moore. What’s more (no pun intended), they’re running it in 35mm (black and white Warnerscope). It’s August 5 and 6 — and I’d sure love to be there. Blu-Ray News #243: The Ballad Of Cable Hogue (1970). 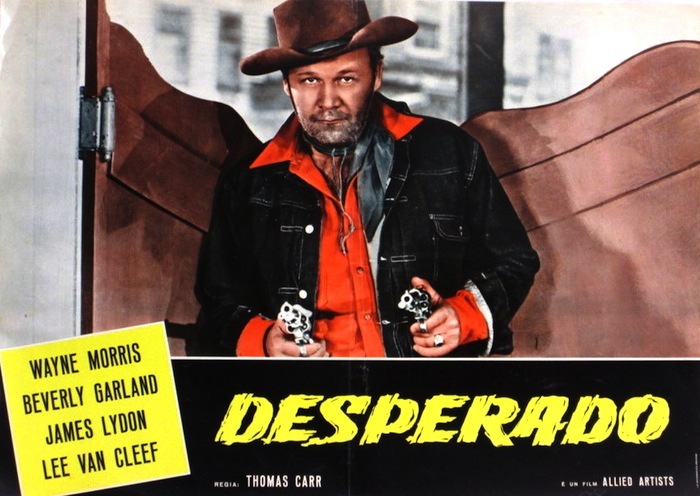 Another great Sam Peckinpah movie about the dying West, and another must-have Blu-Ray from Warner Archive. This, The Wild Bunch (1969) and Ride The High Country (1962) all cover the same basic theme — the Old West giving way to civilization, with some people not able, or willing, to adapt. But Sam comes at it from a different angle each time, always striking gold. I’m in absolute awe of Peckinpah when it comes to these movies. Lucien Ballard shot this one, which is reason enough to spring for the Blu-Ray. It will be out in June, with a number of great supplements that appeared on the DVD release. Highly highly recommended. 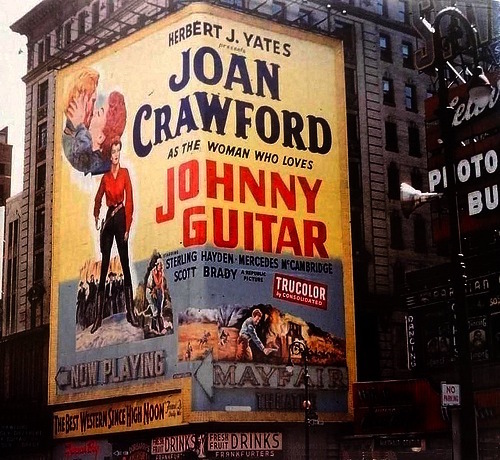 Screening: John Ford’s Cheyenne Autumn (1964). 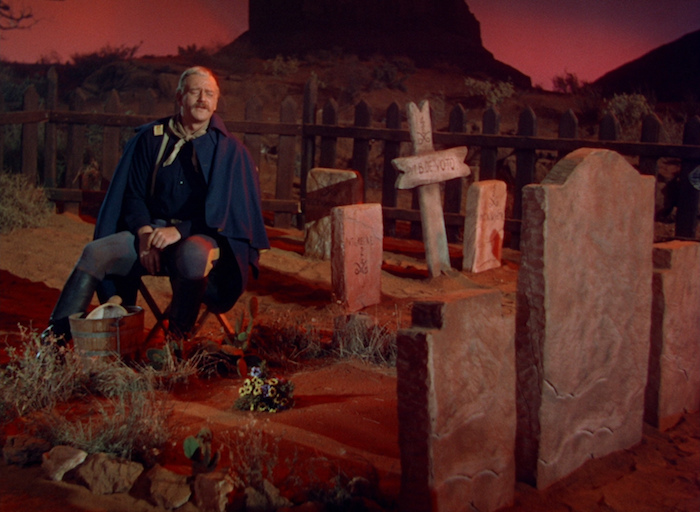 Cheyenne Autumn (1964) is a picture I’ve always wanted to see on the big screen, on film. And here’s my chance — they’re running a 35mm IB Technicolor print at the New Beverly Cinema on May 21 and 22. Shame it’s 2,554 miles from my front door. Cheyenne Autumn isn’t Ford’s finest work, but it has plenty to recommend it — and it just might be William Clothier’s best work (he shot it in Super Panavision 70, which is why I want to see it in a theater). TV Westerns DVD News #240: The Westerner – The Complete Series (1960). Fans have been hollering for this one for quite a while. Right now, it’s a Walmart exclusive: The Westerner, the 1960 series created by Sam Peckinpah and starring Brian Keith, is out on DVD from Shout Factory. Only 13 episodes were produced (it was up against The Flintstones) — they’re all terrific, and they’re all here. 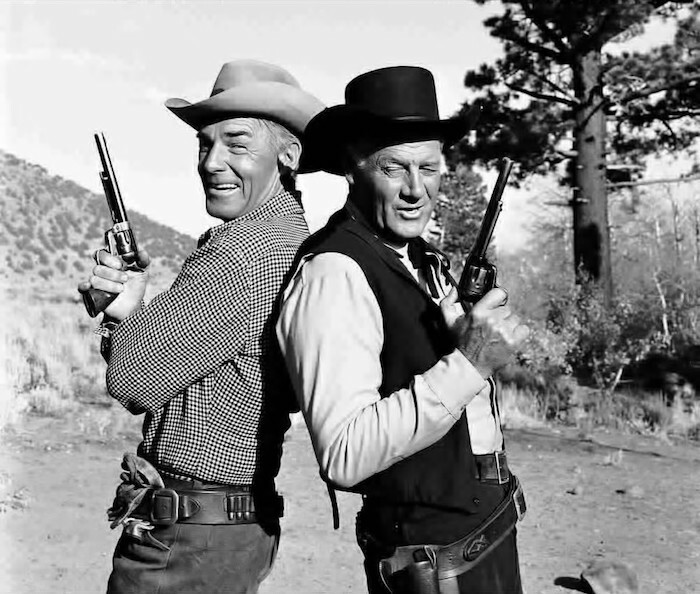 Also included is the Zane Grey Theatre episode that served as the show’s pilot. 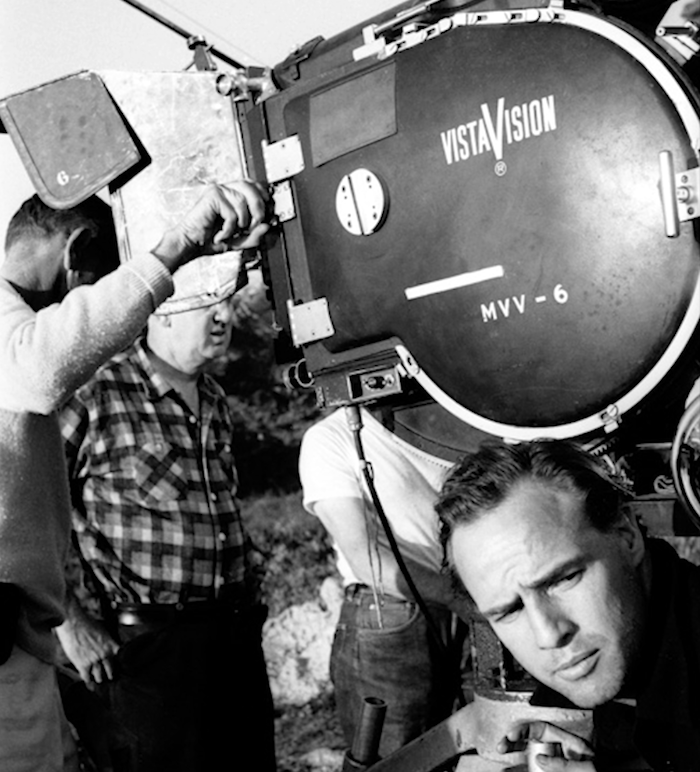 Episodes were directed by the likes of Peckinpah, Andre de Toth and Ted Post. Appearing in those 13 episodes were folks like Warren Oates, Katy Jurado, John Dehner, Slim Pickens, Robert Culp, Frank Ferguson, Virginia Gregg, R.G. Armstrong and Dub Taylor — many of them people Peckinpah would turn to time and time again. Lucien Ballard shot three of them. 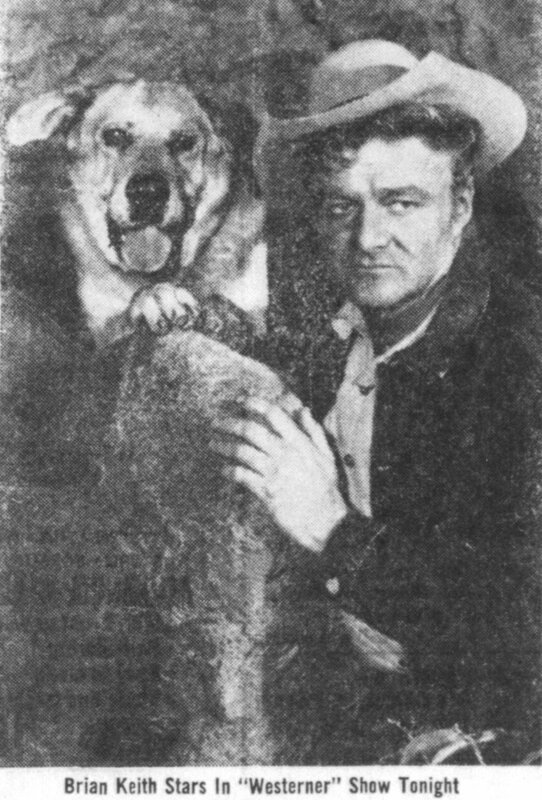 And Brian Keith’s dog, Brown, is played by Spike, who was also Old Yeller. Highly, highly recommended. 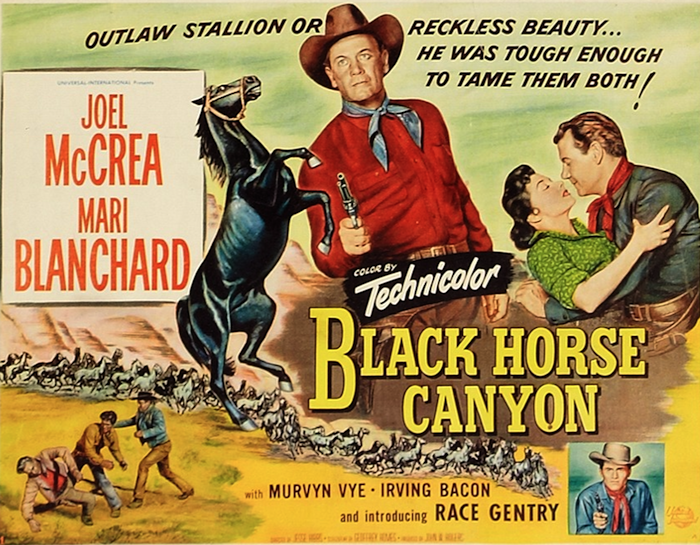 The Joel McCrea Blogathon: Ride The High Country (1962) By Guest Blogger Jerry Entract. Screenplay by N.B. Stone, Jr. I am delighted to be able to take part in the Joel McCrea Blogathon and would like to thank our host, Toby, for making it possible. Due to a combination of factors in my early childhood movie-watching, Joel McCrea was probably my earliest Western favorite (among the bigger fish, anyway), even before the Duke perhaps. Firstly, an early favorite showing on UK TV at the time was Four Faces West (19XX) which I loved straight off. Plus, one of the earlier films I was taken to see at the cinema was The Tall Stranger (19XX) possibly the first film I saw in that great big CinemaScope! 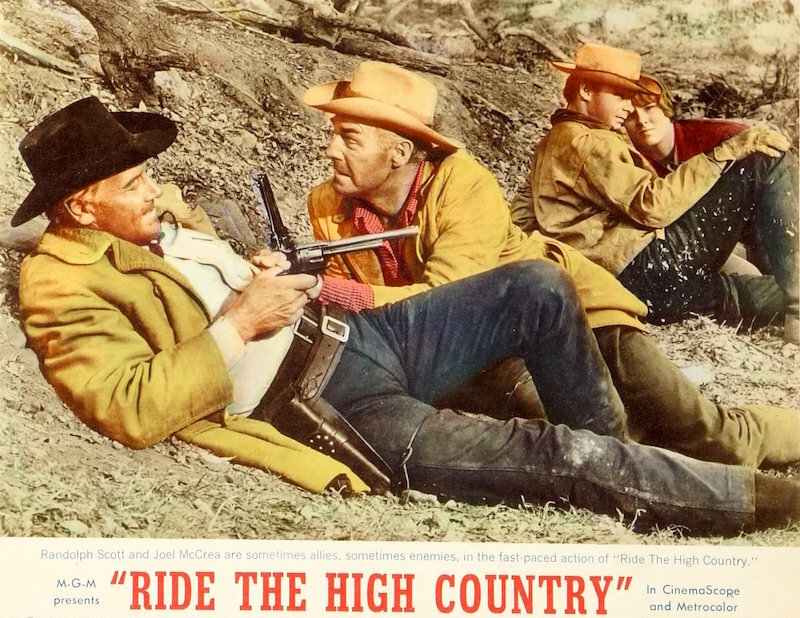 I’ve gone on record on this blog as stating that my all-time favorite movie is Ride The High Country (1962), a fact I was reminded of by my friend Blake Lucas, who suggested this should be my contribution. I’ll try to get across just why it is my favorite. I’ll be brief on the story as probably everybody reading this already knows it well. The screenplay was written by N.B. Stone jr. though I believe it was extensively re-written by Peckinpah. Also, screenwriter Burt Kennedy had an involvement in that he brought the script to the attention of Randolph Scott. Two aging former lawmen, down on their luck, are given a routine job to collect gold from a remote mining community in the ‘high country’ and transport it back through difficult territory. Times in the West are a-changin’ and the two old guys see the opportunity in different ways. Steve Judd sees an opportunity for a final task that he can bring off with integrity and dignity. His old friend Gil Westrum is bitter and sees the gold as his payoff for a career that didn’t! This brings about a clash between the two until they have to face a bunch of low-lifes from the mines who want to kill them for the gold. I was so taken with this film on first view in 1962 that I went to see it again three days later. I was only 14 but found the film and the two central performances utterly moving. We all know, of course, that originally McCrea was offered the part of Westrum but felt it wrong for his personal image. And so… a brilliant switch was made. Scott was more than happy to play the more shaded personality for once. The result was perfection. Both men had pretty well already retired by 1962 and this was the final film for Scott and, effectively, for McCrea also. What a film with which to go out on!! There are many wonderful subtle moments throughout the film. Right near the start we see Steve Judd going to sign up for the job – he is embarrassed by his frayed shirt cuffs and by his need for eye-glasses. A proud man then and like Westrum men past their best and out of their time. Many will no doubt disagree with me, but for me this was Sam Peckinpah’s true masterpiece. I was never so happy with his subsequent movies. In 1962, Joel McCrea was a bigger favorite of mine than Randolph Scott, but time and many subsequent viewings of both their films put them almost side-by-side for me today, but with Scott ahead and at the very top because of his large and fairly consistent body of work in the Western genre. Beautifully shot by the great Lucien Ballard in some terrific California Sierras locations – Mammoth Lakes, Inyo National Forest and that familiar landmark to all Western fans, Bronson Canyon. Ride The High Country was a watershed Western – in style it was of the newer, coming Western but its heart , accentuated by the pairing of McCrea and Scott, was traditional. 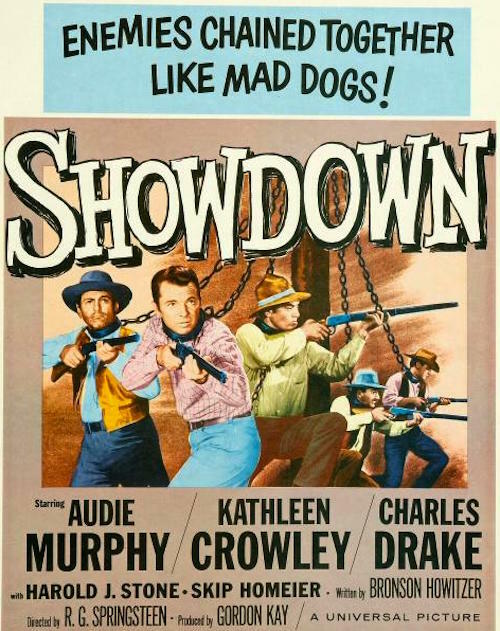 I believe it would have been a fine Western with other stars taking the two leads. With McCrea and Scott, it was simply splendid! No trouble of course getting this one on DVD. My own copy was put out by Warner Video in 2006, the year I picked it up on a trip to New York. It is still awaiting a Blu-Ray release. 50s Western DVD News #226: Audie Murphy – Man Of The West Collection. 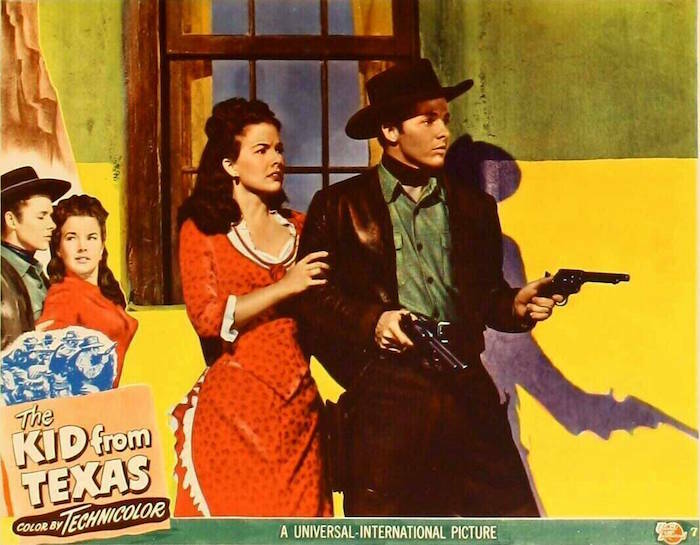 Madman Entertainment out of Australia has announced a terrific DVD set of seven Audie Murphy pictures that cover his time at Universal, from his first film for the studio, The Kid From Texas (1950), to the last, Gunpoint (1966). The Madman website lists the aspect ratio as 4:3, which is fine for the 1950 titles. Let’s hope the later stuff turns out to be anamorphic. 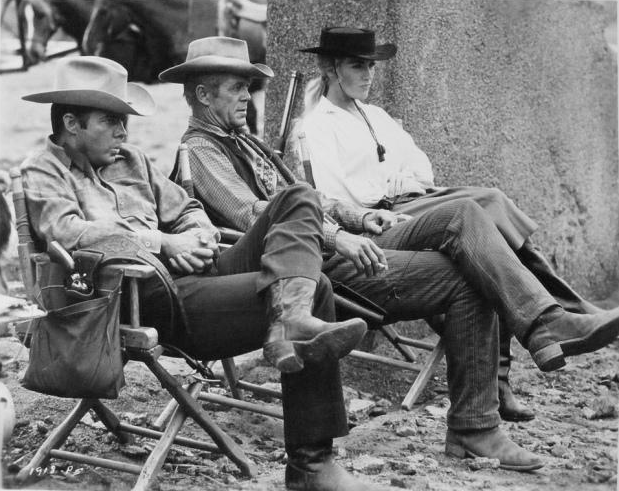 Audie Murphy, Dan Duryea and Joan O’Brien on the Six Black Horses set.